I've said it many times: your subconscious mind can take you out-of-body very quickly and efficiently. If my subconscious wants it to happen, boom, it takes 10 seconds, whereas normally I might struggle for more than an hour to force my conscious mind into the proper state. That's the power of the subconscious. In past articles, I've talked about how important it is to impress your desire for OBEs onto your subconscious mind and how the subconscious is not a mindless drone subservient to the conscious will, but rather, a highly intelligent and cooperative second self. There's a well-known phenomenon in psychology called Labeling: people often accept a label that's been placed on them. Normally that has a bad connotation: If you tell a child he or she is stupid, they'll start to "own" that label and become stupid. Don't do it. It also works in reverse: if you tell a child he or she is artistic or talented, they will take ownership of that too, and pretty soon you've got a very talented child. Children are especially susceptible to labeling because they haven't solidified their role in the world, and they believe what adults tell them. So be careful about the labels you place on a child; it affects their entire life. In fact, I can carry this forward and boldly say that labels are a major source of conflict in our society as a whole: they can easily cause divisions between us. For example, if a nightly news anchor a "person" killed another "person" that's an event. But if the same show applies labels and says a "white cop" killed a "black man" that's a form of labeling that creates division. It implies "us" versus "them." That's not to say there isn't a problem. All I'm saying is that, as a society, we shouldn't create divisions. If our children are taught that people are just people, there would be a lot more harmony in this world. If OBEs teach us anything, it's that our physical bodies shouldn't define who we are. But I digress. It's also very important to control the labels you place on yourself. Learn to "see through" the labels people put on you, and consciously accept or reject them: only you define who you are. In fact, take it a step further: harness this principle to induce out-of-body experiences: if you want OBEs, label yourself as an OBEr. I've talked about how I'm highly resistant to hypnosis, so I had to find other more subtle ways to influence my subconscious. I talked about one method in my article Kissing Your Way to OBE. I also talked about it in my article Using OBE Narratives To Induce OBEs and other articles as well. I can't stress it enough. So another way to influence your subconscious toward OBEs is to label yourself an "Astral Projector," "Out-of-body Traveler," "OBE Explorer," or something similar. I even wrote about this in my Fourteen OBE Letters which pre-dates my first book. The more you accept the label "Astral Projector" about yourself, the easier it will be to achieve OBEs. This is harder to accept if you've never had an OBE yourself: you can pretend to claim the title of "OBEr" but you may not really believe it at a subconscious level until you've actually had an OBE or two. Once you've had an OBE, it's easier to claim the title: "I've had an OBE, so that makes me an OBE explorer." This goes back to a fundamental teaching of Jane Roberts / Seth that says "You create your own reality based on your beliefs." (Later appropriated by other new-age teachers: The Secret, Law of Attraction, etc.) Your subconscious is happy to put your beliefs about yourself into action. So if your subconscious really believes you are an OBE explorer, it will conspire to make it happen. The same goes for "Self-Talk". This is the inner dialog we all have, and it can be about any little task in life, like cooking a meal. Sometimes it starts out small, like when you think to yourself, "Crap. I screwed that up," but then it escalates to something negative like "I'm no good at this." Negative self-talk reinforces the negativity. Whenever you catch yourself doing it, stop and send yourself a positive message: "It's not that I'm bad at this. I'm actually quite talented. I'll do better next time." Take it a step futher: Use positive, OBE-affirming affirmations every morning as soon as you wake up. 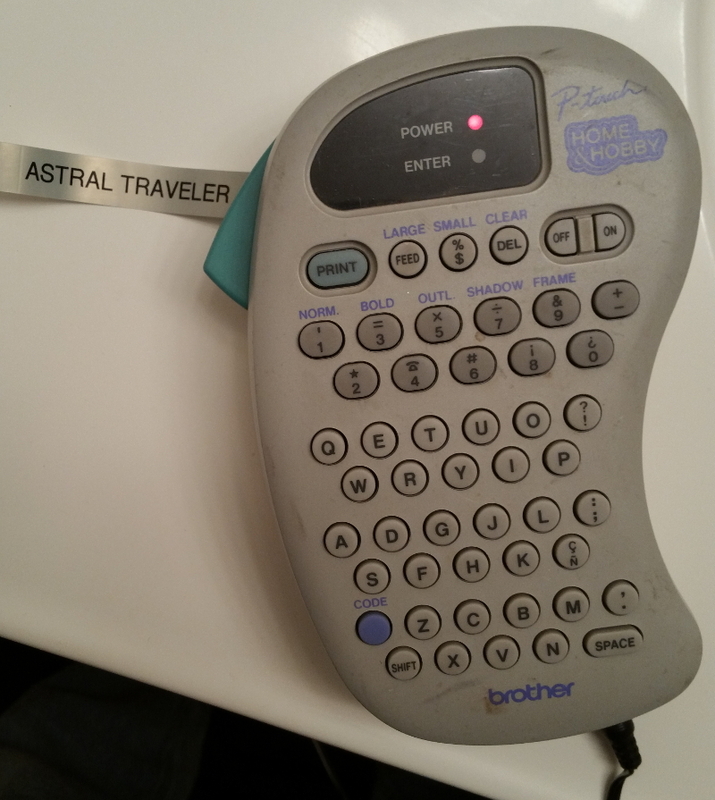 "I am an astral traveler." The subconscious is also heavily influenced by the music you listen to. I wrote about this in my book Answers Within. Even if you fully realize a song is making a negative statement to call out the negativity, it still can influence you in a bad way. A mulatto, an Albino, A mosquito, my libido, yeah"
Drawing attention to the negativity, and the labels, just reinforces them. You don't need to say, "Bob, you missed the whole point of the song!" No I didn't. I get it. I know the sentiment of the song. I grew up with the heavy metal bands of the 1980s. The same can be said for most of those lyrics too. Songs like "Two Minutes to Midnight" by Iron Maiden exaggerate the negativity on purpose: they portray war as an ugly, negative thing (and it is). We oil the jaws of the war machine and feed it with our babies." Admitting there's a problem is kind of like the first step to recovery, right? But those negative lyrics still influence your subconscious. Negativity can be impetus for positive change, but that's where its usefulness stops. So be very careful with the music you listen to and how it influences your subconscious. Try to reduce or eliminate the negative music in your life. Then replace it with positive music. "No reason to doubt: It's easy somehow what once was illusive is calling me now." Meditate on that. At the risk of repeating myself, let me reiterate: your subconscious, plus your "higher self," "guardian angels," "spirit guides," and the "Universe" actually conspire to go the direction you give them. Make it a positive direction. Eliminating negative music from your life doesn't mean you have to give up heavy metal music. There are plenty of loud, fast bands with positive lyrics. Bands like Stratovarius, Masterplan, Arven, and Dream Theater. Even bands with negative lyrics often have occasionally positive songs. All I'm saying is: analyze the music you listen to and see how it affects you subconsciously. Choose wisely. Label yourself as an astral traveler. Accept the label and make it yours. Watch your inner dialog. Don't accept negative self-talk. When it happens, counter it with positive self-talk. Give yourself positive affirmations every morning, like "I leave my body easily...It happens all the time." or "I become conscious in my dreams." Read OBE-suggestive books and articles, especially ones with OBE narratives.